The world is not, on the whole, the place we have learned about in our school books. This point was hammered home one recent night as I crossed the causeway of the small island where I live. The pond was dark and still. Several strange glowing objects caught my attention on the side of the road, and I squatted down to observe one of them with my flashlight. The creature turned out to be a glowworm, the luminous larva of the European beetle Lampyris noctiluca. Its segmented little oval body was primitive—like some trilobite that had just crawled out of the Cambrian Sea 500 million years ago. There we were, the beetle and I, two living objects that had entered into each others’ world. It ceased emitting its greenish light, and I, for my part, turned off my flashlight. I wondered if our interaction was different from that of any other two objects in the universe. Was this primitive little grub just another collection of atoms—proteins and molecules spinning away like the planets round the sun? Had science reduced life to the level of a mechanist’s logic, or was this wingless beetle, by virtue of being a living creature, creating its own physical reality? The laws of physics and chemistry can explain the biology of living systems, and I can recite in detail the chemical foundations and cellular organization of animal cells: oxidation, biophysical metabolism, all the carbohydrates and amino acid patterns. But there was more to this luminous little bug than the sum of its biochemical functions. A full understanding of life cannot be found by looking at cells and molecules through a microscope. We have yet to learn that physical existence cannot be divorced from the animal life and structures that coordinate sense perception and experience. Indeed, it seems likely that this creature was the center of its own sphere of reality just as I was the center of mine. Although the beetle did not move, it had sensory cells that transmitted messages to the cells in its brain. Perhaps the creature was too primitive to collect data and pinpoint my location in space. Or maybe my existence in its universe was limited to the perception of some huge and hairy shadow stabilizing a flashlight in the air. I don’t know. But as I stood up and left, I am sure that I dispersed into the haze of probability surrounding the glowworm’s little world. Our science fails to recognize those special properties of life that make it fundamental to material reality. 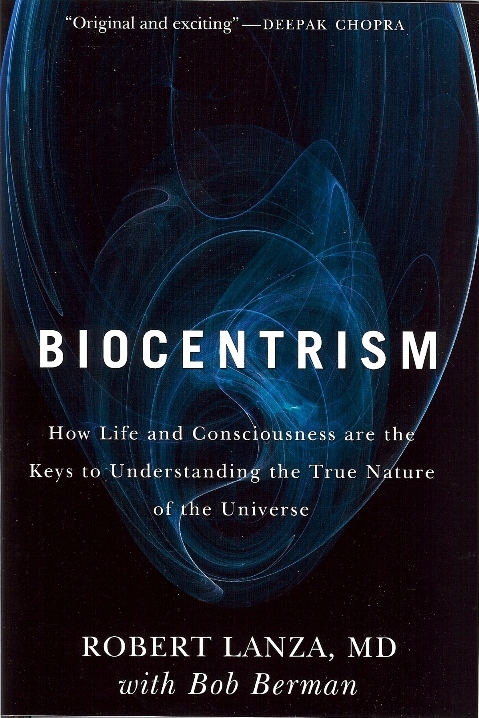 This view of the world—biocentrism—revolves around the way a subjective experience, which we call consciousness, relates to a physical process. It is a vast mystery and one that I have pursued my entire life. The conclusions I have drawn place biology above the other sciences in the attempt to solve one of nature’s biggest puzzles, the theory of everything that other disciplines have been pursuing for the last century. Such a theory would unite all known phenomena under one umbrella, furnishing science with an all-encompassing explanation of nature or reality. We need a revolution in our understanding of science and of the world. Living in an age dominated by science, we have come more and more to believe in an objective, empirical reality and in the goal of reaching a complete understanding of that reality. Part of the thrill that came with the announcement that the human genome had been mapped or with the idea that we are close to understanding the big bang rests in our desire for completeness. Biology is at first glance an unlikely source for a new theory of the universe. But at a time when biologists believe they have discovered the “universal cell” in the form of embryonic stem cells, and when cosmologists like Stephen Hawking predict that a unifying theory of the universe may be discovered in the next two decades, shouldn’t biology seek to unify existing theories of the physical world and the living world? What other discipline can approach it? Biology should be the first and last study of science. It is our own nature that is unlocked by means of the humanly created natural sciences used to understand the universe. Ever since the remotest of times philosophers have acknowledged the primacy of consciousness—that all truths and principles of being must begin with the individual mind and self. Thus Descartes’s adage: “Cogito, ergo sum.” (I think, therefore I am.) In addition to Descartes, who brought philosophy into its modern era, there were many other philosophers who argued along these lines: Kant, Leibniz, Bishop Berkeley, Schopenhauer, and Henri Bergson, to name a few. We have failed to protect science against speculative extensions of nature, continuing to assign physical and mathematical properties to hypothetical entities beyond what is observable in nature. The ether of the 19th century, the “spacetime” of Einstein, and the string theory of recent decades, which posits new dimensions showing up in different realms, and not only in strings but in bubbles shimmering down the byways of the universe—all these are examples of this speculation. Indeed, unseen dimensions (up to a hundred in some theories) are now envisioned everywhere, some curled up like soda straws at every point in space. Today’s preoccupation with physical theories of everything takes a wrong turn from the purpose of science—to question all things relentlessly. Modern physics has become like Swift’s kingdom of Laputa, flying absurdly on an island above the earth and indifferent to what is beneath. When science tries to resolve its conflicts by adding and subtracting dimensions to the universe like houses on a Monopoly board, we need to look at our dogmas and recognize that the cracks in the system are just the points that let the light shine more directly on the mystery of life. 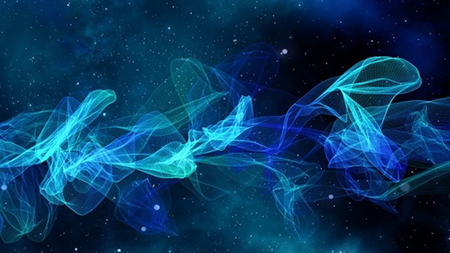 The urgent and primary questions of the universe have been undertaken by those physicists who are trying to explain the origins of everything with grand unified theories. But as exciting and glamorous as these theories are, they are an evasion, if not a reversal, of the central mystery of knowledge: that the laws of the world were somehow created to produce the observer. And more important than this, that the observer in a significant sense creates reality and not the other way around. Recognition of this insight leads to a single theory that unifies our understanding of the world. Modern science cannot explain why the laws of physics are exactly balanced for animal life to exist. For example, if the big bang had been one-part-in-a billion more powerful, it would have rushed out too fast for the galaxies to form and for life to begin. If the strong nuclear force were decreased by two percent, atomic nuclei wouldn’t hold together. Hydrogen would be the only atom in the universe. If the gravitational force were decreased, stars (including the sun) would not ignite. These are just three of more than 200 physical parameters within the solar system and universe so exact that they cannot be random. Indeed, the lack of a scientific explanation has allowed these facts to be hijacked as a defense of intelligent design. Without perception, there is in effect no reality. Nothing has existence unless you, I, or some living creature perceives it, and how it is perceived further influences that reality. Even time itself is not exempted from biocentrism. Our sense of the forward motion of time is really the result of an infinite number of decisions that only seem to be a smooth continuous path. At each moment we are at the edge of a paradox known as The Arrow, first described 2,500 years ago by the philosopher Zeno of Elea. Starting logically with the premise that nothing can be in two places at once, he reasoned that an arrow is only in one place during any given instance of its flight. But if it is in only one place, it must be at rest. The arrow must then be at rest at every moment of its flight. Logically, motion is impossible. But is motion impossible? Or rather, is this analogy proof that the forward motion of time is not a feature of the external world but a projection of something within us? Time is not an absolute reality but an aspect of our consciousness. This paradox lies at the heart of one of the great revolutions of 20th-century physics, a revolution that has yet to take hold of our understanding of the world and of the decisive role that consciousness plays in determining the nature of reality. The uncertainty principle in quantum physics is more profound than its name suggests. It means that we make choices at every moment in what we can determine about the world. We cannot know with complete accuracy a quantum particle’s motion and its position at the same time—we have to choose one or the other. Thus the consciousness of the observer is decisive in determining what a particle does at any given moment. Einstein was frustrated by the threat of quantum uncertainty to the hypothesis he called spacetime, and spacetime turns out to be incompatible with the world discovered by quantum physics. When Einstein showed that there is no universal now, it followed that observers could slice up reality into past, present, and, future, in different ways, all with equal reality. But what, exactly, is being sliced up? Space and time are not stuff that can be brought back to the laboratory in a marmalade jar for analysis. In fact, space and time fall into the province of biology—of animal sense perception—not of physics. They are properties of the mind, of the language by which we human beings and animals represent things to ourselves. Physicists venture beyond the scope of their science—beyond the limits of material phenomena and law—when they try to assign physical, mathematical, or other qualities to space and time. Return to the revelation that we are thinking animals and that the material world is the elusive substratum of our conscious activity continually defining and redefining the real. We must become skeptical of the hard reality of our most cherished conceptions of space and time, and of the very notion of an external reality, in order to recognize that it is the activity of consciousness itself, born of our biological selves, which in some sense creates the world. Despite such things as the development of superconducting supercolliders containing enough niobium-titanium wire to circle the earth 16 times, we understand the universe no better than the first humans with sufficient consciousness to think. Where did it all come from? Why does the universe exist? Why are we here? In one age, we believe that the world is a great ball resting on the back of a turtle; in the next, that a fairy universe appeared out of nowhere and is expanding into nothingness. In one age, angels push and pummel the planets about; in another age, everything is a meaningless accident. We exchange a world-bearing turtle for a big bang. We are like Loren Eiseley’s moth, blundering from light to light, unable to discern the great play that blazes under the opera tent. Turn now to the experimental findings of modern science, which require us to recognize—at last—our role in the creation of reality from moment to moment. Consciousness cannot exist without a living, biological creature to embody its perceptive powers of creation. Therefore we must turn to the logic of life, to biologic, if we are to understand the world around us. Space and time are the two concepts we take most for granted in our lives. We have been taught that they are measurable. They exist. They’re real. And that reality has been reinforced every day of our lives. Time and space are easy to talk and think about. Find yourself short of either or both—late for work, standing in a stalled subway car packed with riders—and issues of time and space are obvious: “It’s crowded and I’m uncomfortable and my boss is going to kill me for being late.” But time and space as our source of comprehension and consciousness is an abstraction. Our day-to-day experiences indicate nothing of this reality to us. Rather, life has taught us that time and space are external and eternal realities. They bound all experiences and are more fundamental than life itself. They are above and beyond human experience. As animals, we are organized, wired, to think this way. We use dates and places to define our experiences to ourselves and to others. History describes the past by placing people and events in time and space. Scientific theories of the big bang, geology, and evolution are steeped in the logic of time and space. They are essential to our every movement and moment. To place ourselves as the creators of time and space, not as the subjects of it, goes against our common sense, life experience, and education. It takes a radical shift of perspective for any of us to entertain the idea that space and time are animal sense perceptions, because the implications are so startling. Yet we all know that space and time are not things—objects that you can see, feel, taste, touch, or smell. They are intangible, like gravity. In fact, they are modes of interpretation and understanding, part of the animal logic that molds sensations into multidimensional objects. We live on the edge of time, where tomorrow hasn’t happened yet. Everything before this moment is part of the history of the universe, gone forever. Or so we believe. Think for a minute about time flowing forward into the future and how extraordinary it is that we are here, alive on the edge of all time. Imagine all the days and hours that have passed since the beginning of time. Now stack them like chairs on top of each other, and seat yourself on the very top. Science has no real explanation for why we’re here, for why we exist now. According to the current physiocentric worldview, it’s just an accident, a one-in-a-gazillion chance that I am here and that you are there. The statistical probability of being on top of time or infinity is so small as to be meaningless. Yet this is generally how the human mind conceives time. In classical science, humans place all things in time and space on a continuum. The universe is 15 to 20 billion years old; the earth five or six. Homo erectus appeared four million years ago, but he took three-and-a-half million years to discover fire, and another 490,000 to invent agriculture. And so forth. Time in a mechanistic universe (as described by Newton and Einstein and Darwin) is an arrow upon which events are notched. But imagine, instead, that reality is like a sound recording. Listening to an old phonograph doesn’t alter the record itself, and depending on where the needle is placed, you hear a certain piece of music. This is what we call the present. The music before and after the song you are hearing is what we call the past and the future. Imagine, in like manner, that every moment and day endures in nature always. The record does not go away. All nows (all the songs on the record) exist simultaneously, although we can only experience the world (or the record) piece by piece. If we could access all life—the whole record—we could experience it non-sequentially. We could know our children as toddlers, as teenagers, as senior citizens—all now. In the end, even Einstein admitted, “Now [Besso—one of his oldest friends] has departed from this strange world a little ahead of me. That means nothing. People like us … know that the distinction between past, present, and future is only a stubbornly persistent illusion.” That there is an irreversible, on-flowing continuum of events linked to galaxies and suns and the earth is a fantasy. It’s important here to address a fundamental question. We have clocks that can measure time. If we can measure time, doesn’t that prove it exists? Einstein sidestepped the question by simply defining time as “what we measure with a clock.” The emphasis for physicists is on the measuring. However, the emphasis should be on the we, the observers. Measuring time doesn’t prove its physical existence. Clocks are rhythmic things. Humans use the rhythms of some events (like the ticking of clocks) to time other events (like the rotation of the earth). This is not time, but rather, a comparison of events. Specifically, over the ages, humans have observed rhythmic events in nature: the periodicities of the moon, the sun, the flooding of the Nile. We then created other rhythmic things to measure nature’s rhythms: a pendulum, a mechanical spring, an electronic device. We called these manmade rhythmic devices “clocks.” We use the rhythms of specific events to time other specific events. But these are just events, not to be confused with time. Quantum mechanics describes the tiny world of the atom and its constituents with stunning accuracy. It is used to design and build much of the technology that drives modern society—transistors, lasers, and even wireless communication. But quantum mechanics in many ways threatens not only our essential and absolute notions of space and time, but indeed, all Newtonian-Darwinian conceptions of order and secure prediction. In order to account for why space and time were relative to the observer, Einstein assigned tortuous mathematical properties to an invisible, intangible entity that cannot be seen or touched. This folly continues with the advent of quantum mechanics. Despite the central role of the observer in this theory—extending it from space and time to the very properties of matter itself—scientists still dismiss the observer as an inconvenience to their theories. It has been proven experimentally that when studying subatomic particles, the observer actually alters and determines what is perceived. The work of the observer is hopelessly entangled in that which he is attempting to observe. An electron turns out to be both a particle and a wave. But how and where such a particle will be located remains entirely dependent upon the very act of observation. Consider for a moment that you are watching a film of an archery tournament, with the Zeno’s arrow paradox in mind. An archer shoots, and the arrow flies. The camera follows the arrow’s trajectory from the archer’s bow toward the target. Suddenly the projector stops on a single frame of a stilled arrow. You stare at the image of an arrow in midflight. The pause in the film enables you to know the position of the arrow—it’s just beyond the grandstand, about 20 feet above the ground. But you have lost all information about its momentum. It is going nowhere; its velocity is zero. Its path is no longer known. It is uncertain. To measure the position precisely at any given instant is to lock in on one static frame, to put the movie on pause, so to speak. Conversely, as soon as you observe momentum you can’t isolate a frame, because momentum is the summation of many frames. You can’t know one and the other with complete accuracy. There is uncertainty as you hone in, whether on motion or position. All of this makes sense from a biocentric perspective: time is the inner form of animal sense that animates events—the still frames—of the spatial world. The mind animates the world like the motor and gears of a projector. Each weaves a series of still pictures into an order, into the “current” of life. Motion is created in our minds by running “film cells” together. Remember that everything you perceive, even this page, is being reconstructed inside your head. It’s happening to you right now. All of experience is an organized whirl of information in your brain. Twenty-five hundred years later, the Zeno arrow paradox finally makes sense. The Eleatic school of philosophy, which Zeno brilliantly defended, was right. So was Heisenberg when he said, “A path comes into existence only when you observe it.” There is neither time nor motion without life. Reality is not “there” with definite properties waiting to be discovered but actually comes into being depending upon the actions of the observer. Another aspect of modern physics, in addition to quantum uncertainty, also strikes at the core of Einstein’s concept of discrete entities and spacetime. Einstein held that the speed of light is constant and that events in one place cannot influence events in another place simultaneously. In the relativity theory, the speed of light has to be taken into account for information to travel from one particle to another. However, experiment after experiment has shown that this is not the case. In 1965, Irish physicist John Bell created an experiment that showed that separate particles can influence each other instantaneously over great distances. The experiment has been performed numerous times and confirms that the properties of polarized light are correlated, or linked, no matter how far apart the particles are. There is some kind of instantaneous—faster than light—communication between them. All of this implies that Einstein’s concept of spacetime, neatly divided into separate regions by light velocity, is untenable. Instead, the entities we observe are floating in a field of mind that is not limited by an external spacetime. The experiments of Heisenberg and Bell call us back to experience itself, the immediacy of the infinite here and now, and shake our unexamined trust in objective reality. But another support for biocentrism is the famous two-hole experiment, which demands that we go one step further: Zeno’s arrow doesn’t exist, much less fly, without an observer. The two-hole experiment goes straight to the core of quantum physics. Scientists have discovered that if they “watch” a subatomic particle pass through holes on a barrier, it behaves like a particle: like a tiny bullet, it passes through one or the other holes. But if the scientists do not observe the particle, then it exhibits the behavior of a wave. The two-hole experiment has many versions, but in short: If observed, particles behave like objects; if unobserved, they behave like waves and can go through more than one hole at the same time. Dubbed quantum weirdness, this wave-particle duality has befuddled scientists for decades. Some of the greatest physicists have described it as impossible to intuit and impossible to formulate into words, and as invalidating common sense and ordinary perception. Science has essentially conceded that quantum physics is incomprehensible outside of complex mathematics. How can quantum physics be so impervious to metaphor, visualization, and language? A particle cannot be thought of as having any definite existence—either duration or a position in space—until we observe it. Until the mind sets the scaffolding of an object in place, an object cannot be thought of as being either here or there. 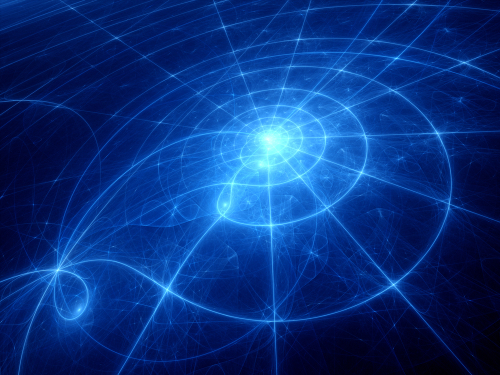 Thus, quantum waves merely define the potential location a particle can occupy. A wave of probability isn’t an event or a phenomenon, it is a description of the likelihood of an event or phenomenon occurring. Nothing happens until the event is actually observed. If you watch it go through the barrier, then the wave function collapses and the particle goes through one hole or the other. If you don’t watch it, then the particle detectors will show that it can go through more than one hole at the same time. Science has been grappling with the implications of the wave-particle duality ever since its discovery in the first half of the 20th century. But few people accept this principle at face value. The Copenhagen interpretation, put in place by Heisenberg, Niels Bohr, and Born in the 1920s, set out to do just that. But it was too unsettling a shift in worldview to accept in full. At present, the implications of these experiments are conveniently ignored by limiting the notion of quantum behavior to the microscopic world. But doing this has no basis in reason, and it is being challenged in laboratories around the world. New experiments carried out with huge molecules called buckyballs show that quantum reality extends into the macroscopic world as well. Experiments make it clear that another weird quantum phenomenon known as entanglement, which is usually associated with the micro world, is also relevant on macro scales. An exciting experiment, recently proposed (so-called scaled-up superposition), would furnish the most powerful evidence to date that the biocentric view of the world is correct at the level of living organisms. One of the main reasons most people reject the Copenhagen interpretation of quantum theory is that it leads to the dreaded doctrine of solipsism. The late Heinz Pagels once commented: “If you deny the objectivity of the world unless you observe it and are conscious of it, then you end up with solipsism—the belief that your consciousness is the only one.” Indeed, I once had one of my articles challenged by a reader who took this exact position. 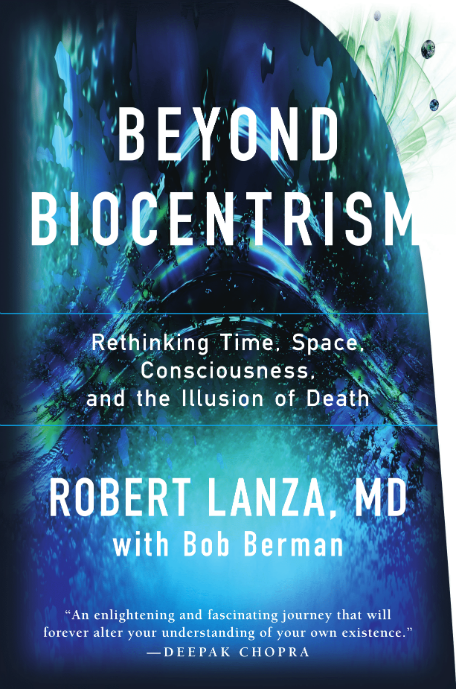 “I would like to ask Robert Lanza,” he wrote, “whether he feels the world will continue to exist after the death of his consciousness. If not, it’ll be hard luck for all of us should we outlive him” (New Scientist, 1991). What I would question, with respect to solipsism, is the assumption that our individual separateness is an absolute reality. Bell’s experiment implies the existence of linkages that transcend our ordinary way of thinking. An old Hindu poem says, “Know in thyself and all one self-same soul; banish the dream that sunders part from whole.” If time is only a stubbornly persistent illusion, as we have seen, then the same can be said about space. The distinction between here and there is also not an absolute reality. Without consciousness, we can take any person as our new frame of reference. It is not my consciousness or yours alone, but ours. That’s the new solipsism the experiments mandate. The theorist Bernard d’Espagnat, a collaborator of Niels Bohr and Enrico Fermi, has said that “non-separability is now one of the most certain general concepts in physics.” This is not to say that our minds, like the particles in Bell’s experiment, are linked in any way that can violate the laws of causality. In this same sense, there is a part of us connected to the glowworm by the pond near my house. It is the part that experiences consciousness, not in our external embodiments but in our inner being. We can only imagine and recollect things while in the body; this is for sure, because sensations and memories are molded into thought and knowledge in the brain. And although we identify ourselves with our thoughts and affections, it is an essential feature of reality that we experience the world piece by piece. The sphere of physical reality for a glowworm and a human are decidedly different. However, the genome itself is carbon-based. Carbon is formed at the heart of stars and supernova explosions, formative processes of the universe. Life as we know it is limited by our spatio-temporal logic—that is, the genome traps us in the universe with which we are familiar. Animals (including those that evolved in the past) span part of the spectrum of that possibility. There are surely other information systems that correspond to other physical realities, universes based on logic completely different from ours and not based on space and time. The universe of space and time belong uniquely to us genome-based animals. Eugene Wigner, one of the 20th century’s greatest physicists, called it impossible “to formulate the laws of [physics] in a fully consistent way without reference to the consciousness [of the observer].” Indeed, quantum theory implies that consciousness must exist and that the content of the mind is the ultimate reality. If we do not look at it, the moon does not exist in a definite state. In this world, only an act of observation can confer shape and form to reality—to a dandelion in a meadow or a seed pod. As we have seen, the world appears to be designed for life not just at the microscopic scale of the atom, but at the level of the universe itself. In cosmology, scientists have discovered that the universe has a long list of traits that make it appear as if everything it contains—from atoms to stars—was tailor-made for us. Many are calling this revelation the Goldilocks principle, because the cosmos is not too this or too that, but just right for life. Others are calling it the anthropic principle, because the universe appears to be human centered. And still others are calling it intelligent design, because they believe it’s no accident that the heavens are so ideally suited for us. By any name, the discovery is causing a huge commotion within the astrophysics community and beyond. At the moment, the only attempt at an explanation holds that God made the universe. But there is another explanation based on science. To understand the mystery, we need to reexamine the everyday world we live in. As unimaginable as it may seem to us, the logic of quantum physics is inescapable. Every morning we open our front door to bring in the paper or to go to work. We open the door to rain, snow, or trees swaying in the breeze. We think the world churns along whether we happen to open the door or not. Quantum mechanics tells us it doesn’t. The trees and snow evaporate when we’re sleeping. The kitchen disappears when we’re in the bathroom. When you turn from one room to the next, when your animal senses no longer perceive the sounds of the dishwasher, the ticking clock, the smell of a chicken roasting—the kitchen and all its seemingly discrete bits dissolve into nothingness—or into waves of probability. The universe bursts into existence from life, not the other way around as we have been taught. For each life there is a universe, its own universe. We generate spheres of reality, individual bubbles of existence. Our planet is comprised of billions of spheres of reality, generated by each individual human and perhaps even by each animal. Imagine again you’re on the stalled subway car worried about being late for work. The engineers get the thing running again and most of the other commuters soon disembark. What is your universe at the moment? The screeching sound of metal wheels against metal tracks. Your fellow passengers. The ads for Rogaine and tech schools. What is not your universe? Everything outside your range of perception does not exist. Now suppose that I’m with you on the train. My individual sphere of reality intersects with yours. We two human beings with nearly identical perception tools are experiencing the same harsh lighting and uncomfortable sounds. You get the idea. But how can this really be? You wake up every morning and your dresser is still across the room from your comfortable spot in the bed. You put on the same pair of jeans and favorite shirt and shuffle to the kitchen in slippers to make coffee. How can anyone in his right mind possibly suggest that the great world out there is constructed in our heads? To more fully grasp a universe of still arrows and disappearing moons, let’s turn to modern electronics. You know from experience that something in the black box of a DVD player turns an inanimate disc into a movie. The electronics in the DVD converts and animates the information on the disc into a 3-D show. Likewise, your brain animates the universe. Imagine the brain as the electronics in your DVD player. Explained another way, the brain turns electrochemical information from our five senses into an order, a sequence—into a face, into this page—into a unified three-dimensional whole. It transforms sensory input into something so real that few people ever ask how it happens. Stop and think about this for a minute. Our minds are so good at it that we rarely ever question whether the world is anything other than what we imagine it to be. Yet the brain—not the eyes—is the organ sealed inside a vault of bone, locked inside the cranium, that “sees” the universe. What we interpret as the world is brought into existence inside our head. Sensory information does not impress upon the brain, as particles of light impress upon the film in a camera. The images you see are a construction by the brain. Everything you are experiencing right now (pretend you’re back on the subway) is being actively generated in your mind—the hard-plastic seats, the graffiti, the dark remnants of chewing gum stuck to the floor. All physical things—subway turnstiles, train platforms, newspaper racks, their shapes, sounds, and odors—all these sensations are experienced inside your head. Everything we observe is based on the direct interaction of energy on our senses, whether it is matter (like your shoe sticking to the floor of a subway car) or particles of light (emitted from sparks as a subway train rounds a corner). Anything that we do not observe directly, exists only as potential—or mathematically speaking—as a haze of probability. You may question whether the brain can really create physical reality. However, remember that dreams and schizophrenia (consider the movie A Beautiful Mind) prove the capacity of the mind to construct a spatial-temporal reality as real as the one you are experiencing now. The visions and sounds schizophrenic patients see and hear are just as real to them as this page or the chair you’re sitting on. We have all seen pictures of the primitive earth with its volcanoes overflowing with lava, or read about how the solar system itself condensed out of a giant swirling gas cloud. Science has sought to extend the physical world beyond the time of our own emergence. It has found our footsteps wandering backward until on some far shore they were transmuted into a trail of mud. The cosmologists picked up the story of the molten earth and carried its evolution backward in time to the insensate past: from minerals by degrees back through the lower forms of matter—of nuclei and quarks—and beyond them to the big bang. It seems only natural that life and the world of the inorganic must separate at some point. We consider physics a kind of magic and do not seem at all fazed when we hear that the universe—indeed the laws of nature themselves—just appeared for no reason one day. From the dinosaurs to the big bang is an enormous distance. Perhaps we should remember the experiments of Francesco Redi, Lazzaro Spallanzani, and Louis Pasteur—basic biological experiments that put to rest the theory of spontaneous generation, the belief that life had arisen spontaneously from dead matter (as, for instance, maggots from rotting meat and mice from bundles of old clothes)—and not make the same mistake for the origin of the universe itself. We are wont to imagine time extending all the way back to the big bang, before life’s early beginning in the seas. But before matter can exist, it has to be observed by a consciousness. Physical reality begins and ends with the animal observer. All other times and places, all other objects and events are products of the imagination, and serve only to unite knowledge into a logical whole. We are pleased with such books as Newton’s Principia, or Darwin’s Origin of Species. But they instill a complacency in the reader. Darwin spoke of the possibility that life emerged from inorganic matter in some “warm little pond.” Trying to trace life down through simpler stages is one thing, but assuming it arose spontaneously from nonliving matter wants for the rigor and attention of the quantum theorist. The mystery is plain. Neuroscientists have developed theories that might help to explain how separate pieces of information are integrated in the brain and thus succeed in elucidating how different attributes of a single perceived object—such as the shape, color, and smell of a flower—are merged into a coherent whole. These theories reflect some of the important work that is occurring in the fields of neuroscience and psychology, but they are theories of structure and function. They tell us nothing about how the performance of these functions is accompanied by a conscious experience; and yet the difficulty in understanding consciousness lies precisely here, in this gap in our understanding of how a subjective experience emerges from a physical process. Even Steven Weinberg concedes that although consciousness may have a neural correlate, its existence does not seem to be derivable from physical laws. Space and time, not proteins and neurons, hold the answer to the problem of consciousness. When we consider the nerve impulses entering the brain, we realize that they are not woven together automatically, any more than the information is inside a computer. Our thoughts have an order, not of themselves, but because the mind generates the spatio-temporal relationships involved in every experience. We can never have any experience that does not conform to these relationships, for they are the modes of animal logic that mold sensations into objects. It would be erroneous, therefore, to conceive of the mind as existing in space and time before this process, as existing in the circuitry of the brain before the understanding posits in it a spatio-temporal order. The situation, as we have seen, is like playing a CD—the information leaps into three-dimensional sound, and in that way, and in that way only, does the music indeed exist. We are living through a profound shift in worldview, from the belief that time and space are entities in the universe to one in which time and space belong to the living. Think of all the recent book titles—The End of Science, The End of History, The End of Eternity, The End of Certainty, The End of Nature, and The End of Time. Only for a moment, while we sort out the reality that time and space do not exist, will it feel like madness. Robert Lanza has published extensively in leading scientific journals. His books “Biocentrism” and “Beyond Biocentrism” lay out the scientific argument for his theory of everything.